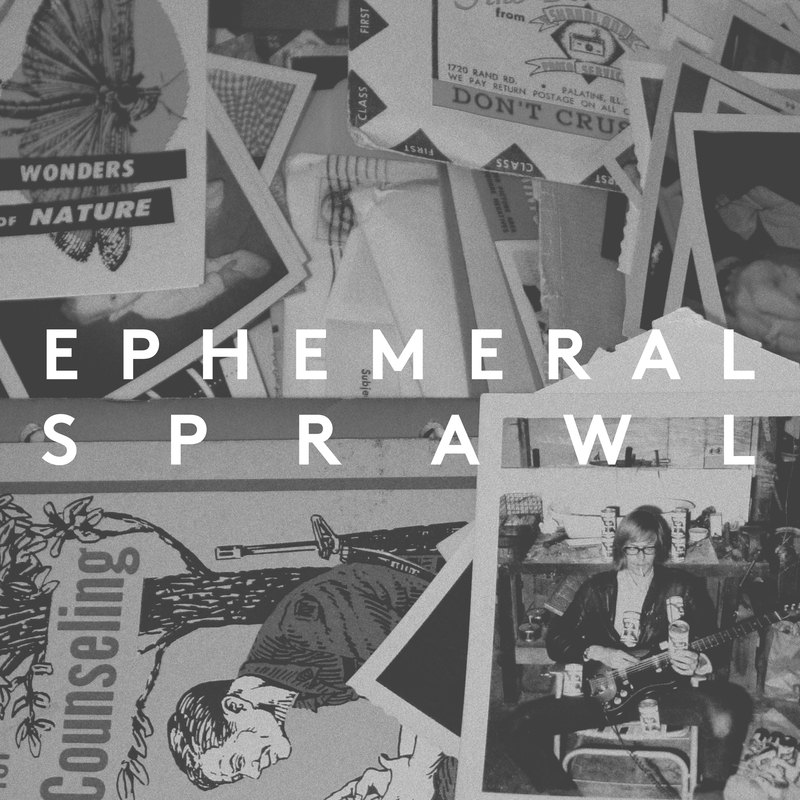 It’s with great excitement that we announce the opening of Ephemeral Sprawl, an exhibition of contemporary printed ephemera co-curated by The Print Center and the collaborative art blog and occasional arts producer, Printeresting.org. The exhibition will be presented in two parts, first, September 13 – November 23, 2013, with an opening reception this Thursday, September 12th from 6:00-8:00pm, with a brief gallery talk by Amze Emmons of Printeresting and John Caperton, Jensen Bryan Curator, The Print Center, at 5:30pm (please come – all are welcome! ), and the second part will open in April of 2014. 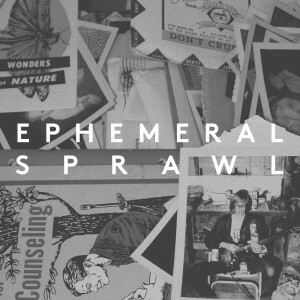 Ephemeral Sprawl is..well, a sprawling cultural and creative survey of the way printed ephemera has woven itself invisibly into our understanding of art and culture. The exhibition features a range of different types of printed material, including, historically significant objects, and selections from the ephemera collections of noted critics, curators, and institutional archives, all of which is put in conversation with work by contemporary artists. By placing historical, popular and creative works in close proximity, we hope to deepen the viewer’s understanding of how value is generated and accrued within a cultural context. Ephemeral Sprawl is organized in concert with the venerable Library Company of Philadelphia’s exhibition Remnants of Everyday Life: Historical Ephemera in the Workplace, Street, and Home, and will coincide with the Ephemera Society of America’s conference, also in Philadelphia, on the 19th and 20th of this month. For those of you unfamiliar, Printeresting.org is edited by a collaborative team made up of artists, Amze Emmons, R. L. Tillman, and Jason Urban. Since 2008, Printeresting has been known as “The thinking person’s favorite resource for interesting print miscellany.” The blog has become a major proponent for innovative contemporary printmaking and a leading voice in the international printmaking community. Beyond Printeresting’s online presence, they are “real world” art producers; producing events, exhibitions and projects that embody and complement the written work on the site. They see this as an obvious extension of their arts writing allowing them to utilize their collective skills as artists, managers and producers. Like the site itself, these endeavors also serve to locate, curate, showcase, contextualize, model and often distribute, artwork that is in conversation with print and material culture. Their exhibitions include: Rum Riot Press, 2012, Space Gallery, Portland, ME; Past/Present, 2011, St. Louis Artist’s Guild, St. Louis, MO; 4×4, 2010, Muhlenberg College, Allentown, PA; Copy Jam, 2010, Art in the Age of Mechanical Reproduction, Philadelphia, PA; Copy Jam 2: Text Edition, 2010, Columbia College, Center for the Book, Chicago, IL and One Every Day, 2009, EFA Project Space, New York, NY.